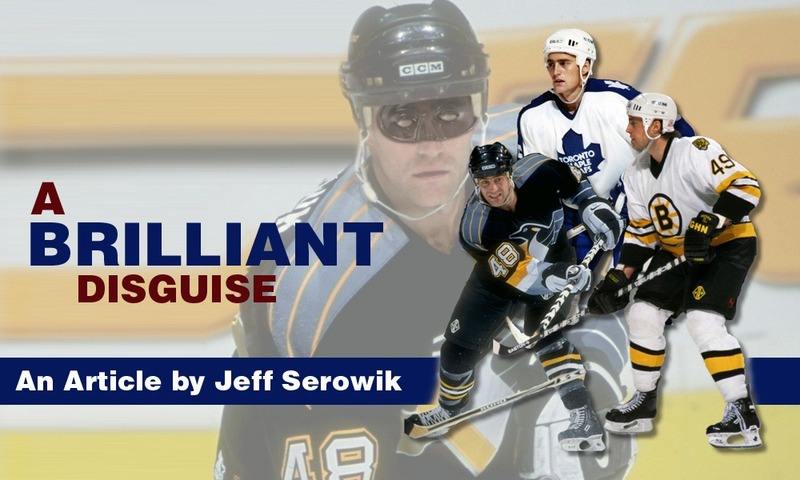 A Brilliant Disguise - Pro Ambitions Hockey, Inc. I have not thought about this realization that took me way too long in my own hockey career to figure until recently as I currently have the true pleasure of assistant coaching a very fine group of young men at the Noble and Greenough preparatory school in Massachusetts. It is a formidably competitive hockey league which I know well as I am an alumnus of a rival school, Lawrence Academy. I was drafted in the 5th round as a junior back in the day and seeing all of the scouts at the Nobles games is bringing back great memories for me. Admittedly, a remark my coach at the time who is now a friend keeps resonating in my head. ” Serowik, do you think people in China give a %$# that you are drafted, get your head back in the game.” He was right and I am glad he reminded me of that. I am laughing now thinking of him saying it as I was dressing in the locker room, eating in the dining hall or walking to class. At Nobles where I am assisting in coaching at such a high level of prep school hockey, I am learning from a remarkable head coach who is a brilliant tactician, an assistant coach who I see as a very cool mix of old and new school hockey philosophies and from a group of young men that I believe are earning their successes on and off the ice and will for years to come. One thing I am struggling with is sets of eyes looking at me on the bench, wanting and hoping for more playing time. Thinking back to my time as a player and especially when playing for the Penguins, this was me. I was skilled enough to be there but the talent was so deep I felt I was always in my own personal battle for more playing time. That is hockey. You are not alone. No crying in hockey. Keep on your course and keep the faith. Trust me every player has been there. A really great piece of advice to everyone wanting more playing time may sound simple but it is very important. Hide your weaknesses and highlight your strengths. This goes for both the stars and what I call the “non stars” on the team. All are equally important members of a team. To learn more about what I call the ” Non Stars” check out an old article about them that I wrote and have archived on the Pro Ambitions website. It has been published in many hockey publications. I always say this in my mind, been saying it so long not sure if I made it up or heard it from someone so I apologize if it is not mine. Last quick story…the summer before my last year pro. My agent called me while I was sitting on the beach on Cape Cod, it was the end of summer. I was going to finish up my pro career in the IHL playing in Kansas City. I kind of had this resolved in my mind as there were no NHL offers this summer. Honestly, I did not train as hard as I had every other summer of my entire life because it was going to be the first fall of my entire pro career I was not reporting to an NHL camp with a contract. Not saying I am proud of this. My agent called to tell me that the Penguins have invited me to rookie camp. I had never been to camp without a contract and was insulted to be a thirty year old guy invited to a rookie camp. Not to mention how I felt about my summer training… I had trained but not up to the insanity type of training I typically did. I told him I did not want to go. I was pleasantly surprised to reconnect with an old hockey buddy at our Nobles game last week…he is now an NHL scout and was there to scout players. Seeing him brought back the memory of a really important phone call I received from him that same summer day. He happened to call me right after I hung up with my agent. I told him what the Penguins offered. He said something to the effect, ” Are you crazy? You are not going? That is what we play for, any chance is a chance. Don’t be an idiot Jeff.” After I hung up with him, I called my agent back and started to mentally and physically prepare once again for my 10th NHL camp, note is was Rookie camp which happens a week earlier than regular camp. I had not been to a Rookie camp since my first year out of college, my first year pro where I was a legit rookie. To make a long story short. Going through camp, things went well on a daily basis. Day by day guys were leaving. Rookie camp ended and I was still there. Injuries started cropping up. Guess what, I made the team. Sometimes I think kids question whether hard work pays off . The older you get you will realize that… It will, it eventually will in hockey or some area of your life you least expect it to. Copyright 2012, Pro Ambitions Hockey, inc.